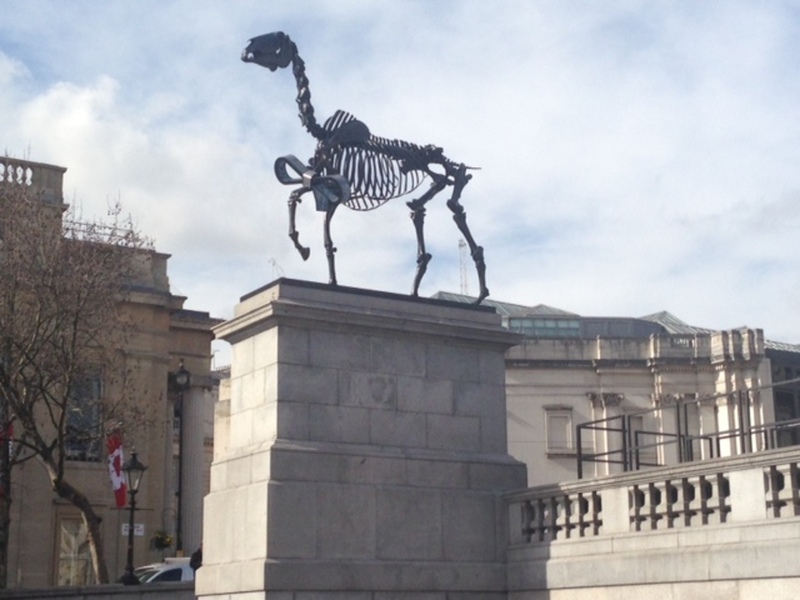 Hans Haacke's Gift Horse, a sculptural installation of a horse's skeleton, makes an eerie outline on the Fourth Plinth in Trafalgar Square. Exploring the links between power, money and history, while commenting wryly on the statue of William IV originally planned for the fourth plinth, Haacke's horse constitutes a searching reflection on the politics of its site and continues critical engagement with British culture which he began with A Breed Apart in 1978, an investigation into former British car manufacturer Leyland's links with the apartheid regime in South Africa. What are the best dining options near Hans Haacke: Gift Horse London? Hans Haacke: Gift Horse gyms, sporting activities, health & beauty and fitness. The best pubs near London Hans Haacke: Gift Horse. Hans Haacke: Gift Horse clubs, bars, cabaret nights, casinos and interesting nightlife. Where to have your meeting, conference, exhibition, private dining or training course near Hans Haacke: Gift Horse. From cheap budget hotels to luxury 5 star suites see our deals for Trafalgar Square hotels, including The Trafalgar St. James London, Curio Collection by Hilton from 81% off.